This Sign Supply Uses LED Lights to Make it Cheap to Run! Professional Sign Supply Manufacturer Sells Wholesale Sign Making Equipment Online! 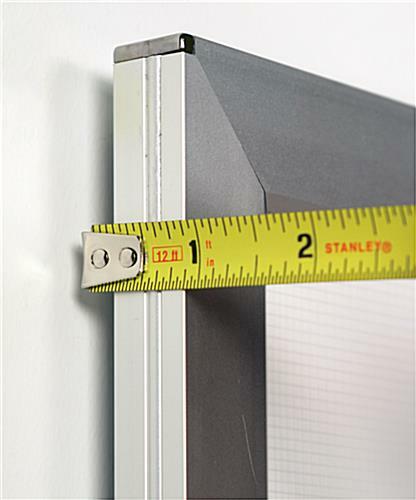 16" x 20" 18" x 24" 20" x 30"
Thin profile (.83") remains flush to any wall or flat surface. LED bulbs last throughout 11 years of continuous usage! 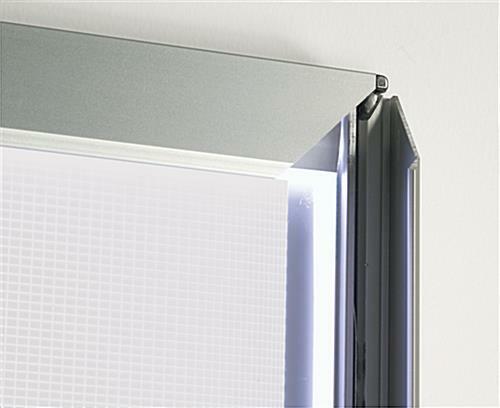 Acceptable LUX readings demonstrate your LED lightbox's luminosity. Cheap price will fit practically any budget. 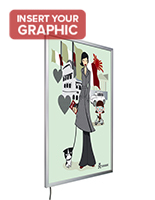 Can display 22" x 28" posters in landscape or portrait form. Lack of light diffusion grid may result in hot or cold spots. 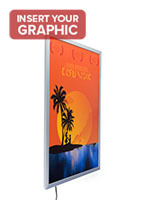 This backlit sign supply is exceedingly flexible as it may be mounted in either portrait or landscape orientation. 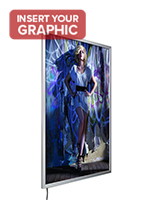 The fine LED backlit frame works flawlessly inside commercial shops or professional settings that experience volumes of foot traffic every day. This sign supply can help you advertise specific merchandise or services by ensuring your signage gets noticed in congested settings. 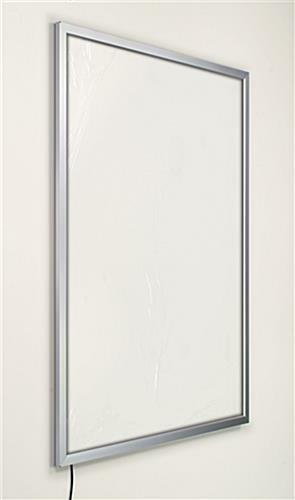 This LED sign supply has a slender profile and requires less space than similar swing-door LED frames. 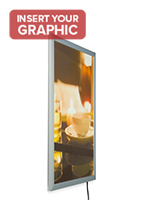 The backlit frame is also more affordable than many other backlit frames and lighted sign holders! This ready to ship sign supply for sale can be yours fast! 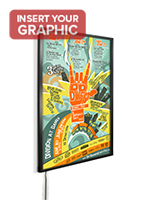 This sign supply provides you with a special exhibit that onlookers and possible clients will be drawn to. 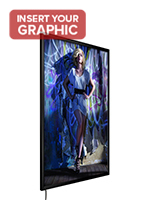 This slender LED frame, backlit sign supply adds illumination to a visual graphic-based display helping you produce a more alluring and appealing exhibit. Our company recommends utilizing a translucent visual graphic made especially for use with LED frames, for the best possible presentation. 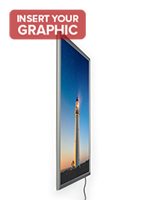 The sign supply, also recognized as a backlit frame, is fitted with an edge-illuminated design so illumination of the complete graphic insert is achieved. 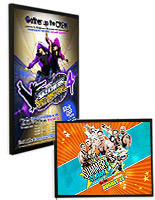 We also provide the sign supply with a clip-open frame, making it unbelievably easy to exchange posters with new ones without removing the sign supply from the wall. Buy affordable sign supplies for sale with lights and bring more attention to your advertised messages! 23.8" x 29.5" x 0.9"